7th Annual Patrick Davis Hope Town Songwriters Festival to be held on Elbow Cay, Abaco, Bahamas. For the seventh year in a row, Hope Town will come alive in late February with the sound of music. From February 12th through the 17th, an all -star roster of talented songwriters will converge on several different venues in Hope Town to perform original songs for the 7th Annual Patrick Davis Hope Town Songwriters Festival. Sip Kids Music Camp Day at Firefly Sunset Resort 4pm. 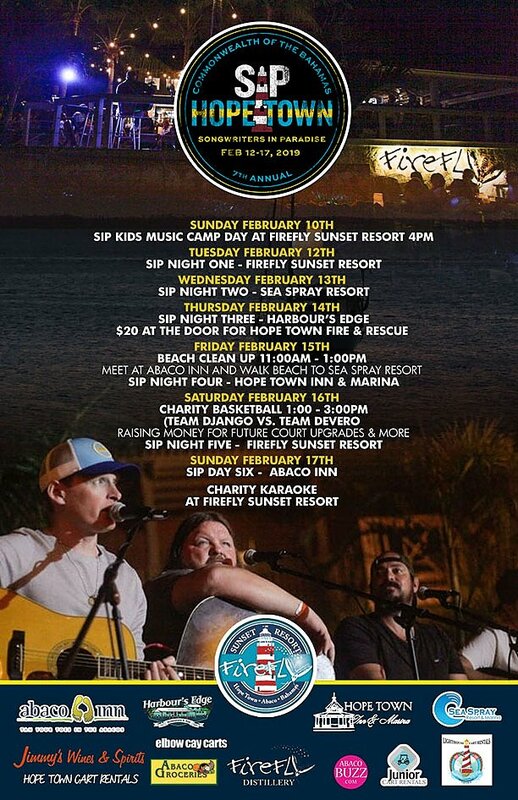 Sip Night One - Firefly Sunset Resort. Sip Night Two - Sea Spray Resort. Sip Night Three - Harbour's Edge. $20 at the door for Hop Town Fire & Rescue. Beach Clean Up 11:00am - 1:00pm. Meet at Abaco Inn and Walk Beach to Sea Spray Resort. Sip Night Four - Hope Town Inn & Marina. Charity Basketball 1:00pm-3:00pm (Team Django vs. Team Devero). Raising Money for future court upgrades & more. Sip Night Five - Firefly Sunset Resort. Sip Day Six - Abaca Inn. Charity Karaoke at Firefly Sunset Resort. Join us for a Weekend Brunch every Saturday & Sunday at Blue Bar with bottomless Mimosas and Bloody Marys for $30 from 7:30-3:00PM! Email info@pinksandsresort.com or call 242-333-2030 for more information. 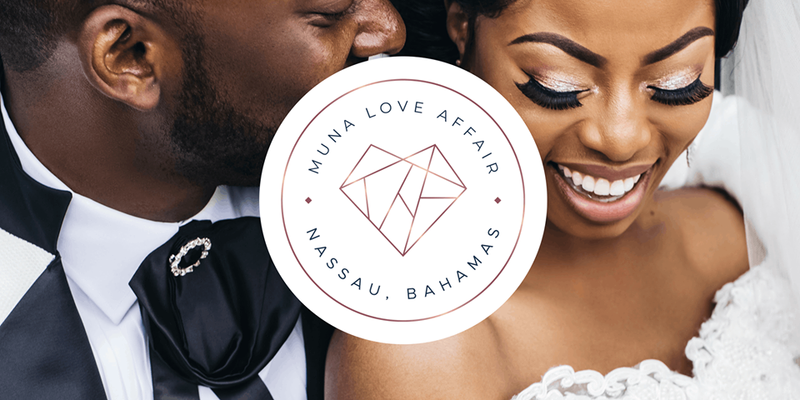 The Muna Love Affair is a multi-city experiential wedding showcase presented by Munaluchi, the #1 multi-cultural magazine and online marketplace. Since 2012, MunaLuchi has toured over 20 cities across the United States, producing curated events for couples, wedding vendors, and wedding enthusiasts. Our show will be visiting to Nassau, Bahamas. Upon arrival to the British Colonial Hilton Nassau, enjoy a luxurious cocktail reception while enjoying lively music and entertainment. Hear expert wedding advice from our special guest Jacqueline Nwobu, Co-founder and EIC of Munaluchi Bride. Wedding Vendor tickets are for admission to the event only. If you are interested in exhibiting, please visit our website for more information. 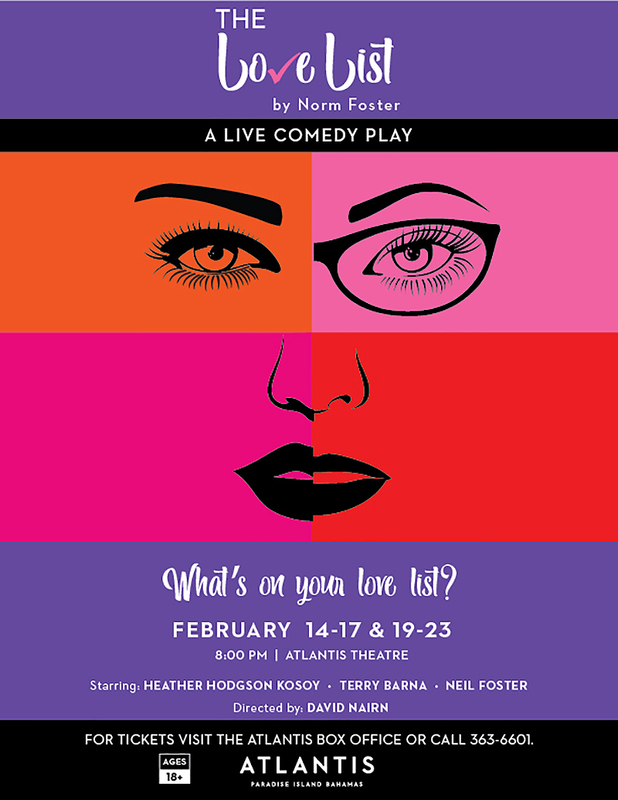 Looking to purchase advance tickets? You can also pick them up at the venue! Ask for Deannya Thompson at the front desk of the British Colonial Hilton Nassau.